How do zero-calorie or negative-calorie foods add up? Dieters may try to lose weight by eating low-calorie foods they think will burn up more energy digesting them than the foods contain themselves and call them negative-calorie. They may even give themselves "permission" to eat other unhealthy foods because of these so-called negative calories, but is there such a thing? No, actually. There is no such thing as a negative calorie food. There are some foods that may burn up some calories while you eat them, but doctors say it's not going to make much difference in terms of losing weight. 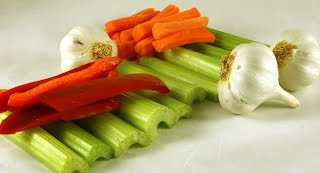 Foods that are often called negative-calorie foods may include celery, grapefruit, lemon, asparagus, apples and lemons. Although they aren't going to put you in a negative calorie balance, they still are healthy foods you should be incorporating in your daily diet -- just don't expect the food to do the work for you. Vegetables and fruits are an important part of a healthy balanced diet and can help you ultimately lose weight if you consume the proper amount of calories in each meal, every day. They're packed with nutrients and fiber, all of which will keep you energized, satisfied -- and best of all -- help prevent you from eating unhealthy foods. Get a customized diet plan that guarantees healthy weight loss. Call WeightLossNYC today at 718-491-5525 for your initial consultation. Starving yourself, skipping meals and limiting calories are not how you lose weight. In fact, eating more frequently can help you lose weight healthfully and effectively. Here are some tips on how eating small meals throughout the day can help you achieve your weight loss goals. When you skip a meal or wait too long to eat, you may wind up binging on unhealthy foods or snacks because you're acting on hunger. You are also more likely to overeat and consume too many calories. In fact, studies show that people who eat fewer meals also eat larger meals and many more calories weigh more than people who eat breakfast and four or five smaller meals a day. You can control your appetite and weight by eating smaller meals throughout the day rather than two or three large meals, which is common for the average American. With three meals and a couple healthy snack breaks, you keep your glucose level from dropping too low and are less likely to satiate hunger with calorie-laden options. Because your body goes into starvation mode when your body needs to refuel, which can ultimately cause you to gain weight, you prevent your body from holding onto calories (when in starvation mode) through several "mini meals" throughout the day. Tired of one-size-fits-all diets that don't work? Learn how to lose 10 to 20 pounds a month in an individualized plan working with a medical weight loss doctor. Call WeightLossNYC today at 718-491-5525. Let's start off by calling fast food exactly what it is: fat food. 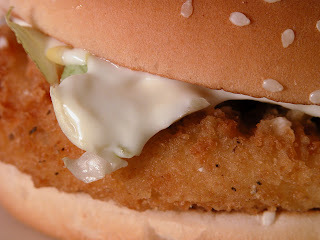 The only thing is, there's very little food in fast food, as it has no nourishment. It's something that you shouldn't merely cut back on -- it's something that has no place in your diet. Read on for some convincing details that may change your mind if it's a weakness for you. What's in fast food? A lot of fat, calories and sodium -- far more than you need. In a recent study, the average fast food lunch contained 827 calories, when the average person only needs about 1,800 to 2,000 calories per day. Not all foods are created equal, especially when we're talking about fast food. A recent OrganicAuthority.com article by Kimberley Stakal makes a sobering point about not getting what you think you'll be getting at fast food restaurants. They’re just eggs, right? Sure, if by “just eggs” you’re also including sodium acid pyrophosphate, citric acid, monosodium phosphate and nisin (all preservatives), as well as liquid margarine (which is made from liquid soybean oil, water, partially hydrogenated cottonseed and soybean oils [trans fats], salt, hydrogenated cottonseed oil [trans fats], soy lecithin, mono- and diglycerides, sodium benzoate, potassium sorbate [preservatives], artificial flavor, citric acid, vitamin A palmitate and beta carotene [color]). Someone trying to eat right may think, "I'll just buy some scrambled eggs at McDonald's while on the go. Eggs are good for you, aren't they? At least it's not a cheeseburger and fries." But then you're getting a whole lot of other non-ingredients with those eggs that will only cause you to gain unhealthy weight, up your blood pressure and put you at risk for a whole host of other ailments. Choosing one fast food item over another still isn't helping you. Avoid fast food at all costs. What you think is cheap and convenient now will only cost you far more in the long run, including your health and medical costs. Remember: fast = fat! 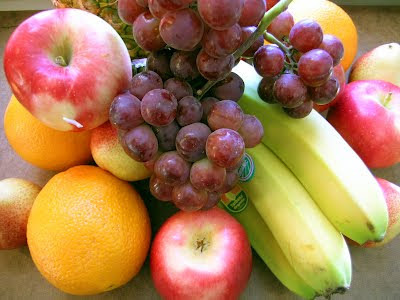 Eat, think and be healthy. Learn how to lose 10 to 20 pounds or more per month. Give us a call at 718-491-5525 to schedule your first appointment.